Fast-paced lifestyles coupled with immense work pressure have made us neglect our personal lives. The result: you have fatter paychecks but slimmer chances of living a healthy life (or at least living through old age with moderate health). Since most of our lives are spent in front of the computers, our minds and bodies are given very little work. It is no wonder that individuals these days suffer from unheard disorders and diseases that never existed or were less prevalent years ago. Do you want to remain active and energetic throughout the day? The widely-advertised rigorous exercises or crash diets might not give you the positive results your after nor your unheard of gym routine, whereas performing small activities at frequent intervals will! 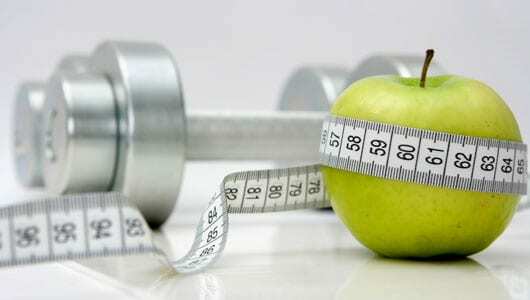 Most people can maintain a healthy metabolic rate which is is crucial in burning excessive calories, keeping your organs in a good working condition and preventing the accumulation of unwanted fat in your body which often leads to excess weight and you feel unhealthy. Go for a quick walk after lunch. Do not slop directly onto your chair or couch after a meal. A ten-minute walk does wonders to your body. Any type of movement increases the blood flow, helping your organs digest the meal better, making you feel lighter. Unless you have serious orthopedic problems, use the staircase wherever available. A quick dash up a flight of stairs will get your heart pumping and also help in burning extra calories. Since sedentary lifestyle gives very little work to our limbs, an occasional staircase climb would be all that it takes to burn off those few extra calories. You can save electrical energy too by giving the elevators a miss! When was the last time you played an outdoor game? If your job gives you very little time to socialize with family/friends, simply indulge in your favorite outdoor activity after you return home instead of sitting on your couch in front of the TV. This is by far one of the easiest ways to refresh and unwind after a long time at work. Basketball, cycling, hiking, swimming or any type of outdoor activity that involves your flexing cardio muscles does wonders in increasing your metabolic rate. Try to have your dinner three hours before hitting the bed. This gives sufficient time for your body to digest and utilize the nutrients. Hitting the bed immediately will lead to impaired digestion, making the undigested sugars accumulate and leading to stomach fat. Imagine if you can use those three hours before bedtime to indulge in religious activities instead and the impact on your spirituality? Constant remembrance of Allah or reading the Quran are a few options, or simply reflect, contemplate, make du’a or take the time to plan next day. Along with exercise our body need a wholesome diet with lots of fish, carbohydrates and fruit/vegetables in a meal. Have short meals at regular intervals instead of binging on heavy meals at one go. This allows your body to burn calories for digesting the short meals in between, making your body work harder than it would otherwise do. Did you know that nearly 10 percent of your calories are used up for digestion alone? If you can tolerate spicy foods, go for it! Spices in foods are known to increase the metabolic rate multifold. It might be overwhelming to get on the healthy-fitness bandwagon, so just try to establish a few new habits and make small changes one small step at a time. You will soon notice a difference in your physical, spiritual and mental health inshaAllah. Chances of you increasing your spiritual and phystical productivity are extremely high when your mind and body are willing to work simultaneously without one burdening the other. Follow the tips shared above and it will surely get your productivity soaring inshaAllah. Your health is one of the greatest blessings bestowed on you by Allah (Subhanhu Wa Ta’ala) and we should show our gratitude by not taking it for granted and looking after our health.